A Geek Daddy will be co-hosting another Twitter Party with the Toy Insider coming up on Thursday, March 29, 2018 from 11 am - Noon (ET). April 1st is National Jump in Muddy Puddles Day and we'll be having a special focus on a cause that is near and dear to this week's sponsor eOne, the folks behind the popular preschool character Peppa Pig. 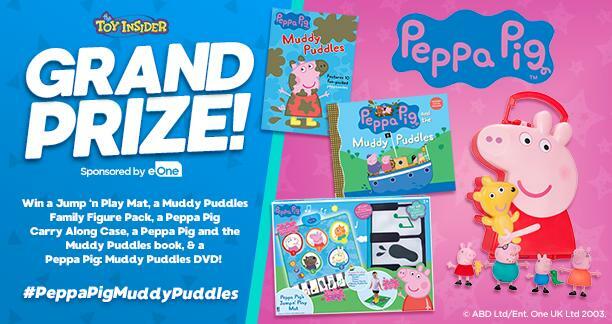 Join in the conversation using the hashtag #PeppaPigMuddyPuddles for a chance to win one of five Peppa Pig prize packs. 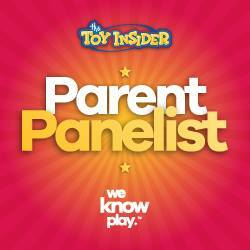 Must fill out the Toy Insiders' RSVP form, participate in the party and be a US resident to be eligible to win a prize. Anyone who know Peppa Pig knows that little piggy loves to jump into muddy puddles. 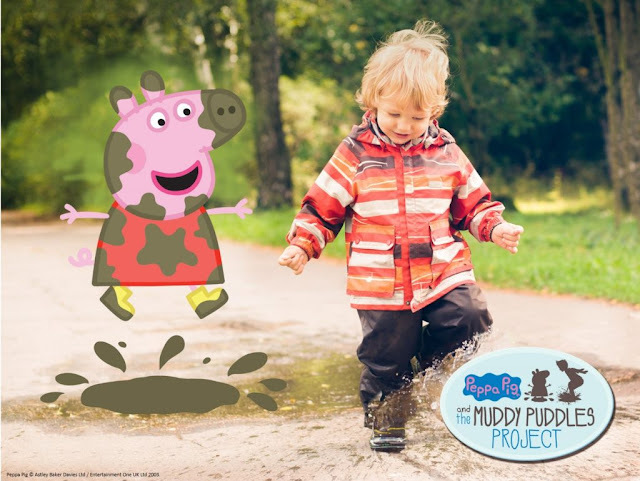 During the #PeppaPigMuddyPuddles Twitter Party we're going to be chatting about THE MUDDY PUDDLES PROJECT and encouraging you to get involved with the charity. This is Peppa Pig's official charitable partner which focusses on fundraising to support pediatric cancer research. So what is the connection between Peppa Pig and this charitable group? Well that is a bit of a tear jerker. The charity was founded by Cindy Campbell based upon her two-and-a-half year old son Ty being diagnosed with a brain tumor. One day during his cancer treatments, Cindy asked Ty what he wanted to do when he was feeling better. He whispered back "jump into a muddy puddle!" She knew that Peppa Pig inspired the little boy's answer because he loved watching the preschool program on television. Sadly, Ty never recovered enough to have fun jumping in a muddy puddle before he passed away. 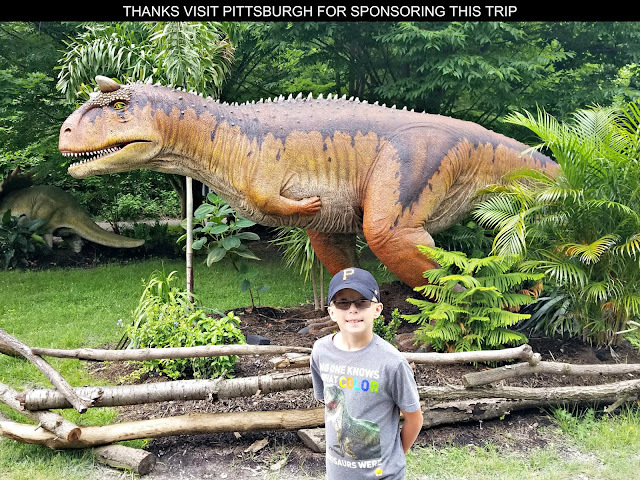 Now through THE MUDDY PUDDLES PROJECT, his mother honors her son's dream by raising awareness and money for pediatric cancer research. Partnering with eOne, Cindy hopes her charity's efforts will make a positive difference so that one day any child battling cancer will be able to get well and once again be able to enjoy simple pleasures like jumping in a muddy puddle. April Showers bring Muddy Puddles so that makes the month a great time for the charity to kick-off that start of its Welly Walks that take place across the country throughout the year. For those how don't know Welly is slang for rain boots. Welly Walks are mud-filled fundraisers where people take an outdoor stroll in their wellies. Sign-up on or before April 1, 2018 to host a Welly Walk in your community sometime this year and be automatically entered to win a visit from Peppa Pig herself during your local event plus other Peppa Pig themed prizes. Find out more about THE MUDDY PUDDLES PROJECT on Thursday, March 29th! 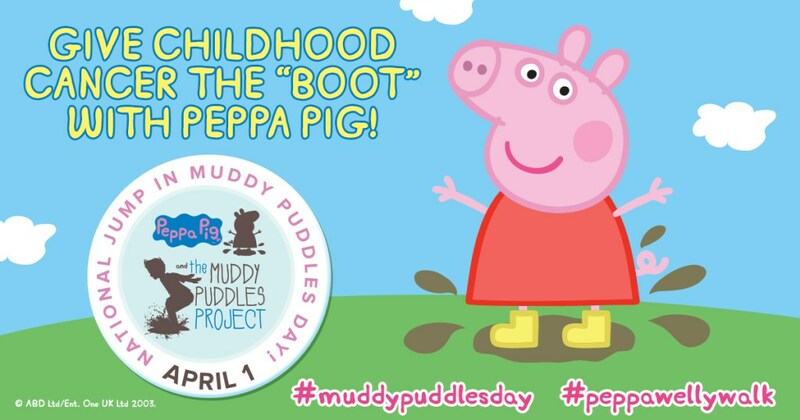 Follow @Geekdad248, @TheToyInsider and @PeppaPigUS as we highlight the efforts of Cindy Campbell and all the great folks involved with THE MUDDY PUDDLES PROJECT. 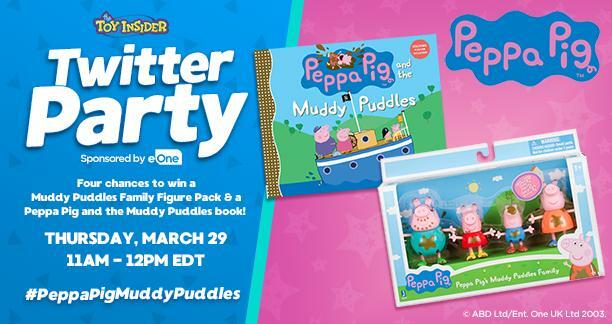 Don't forget to RSVP for a chance at prize packs during the #PeppaPigMuddyPuddles Twitter Party. I hope to see you there! Give me a shout out if you drop in!